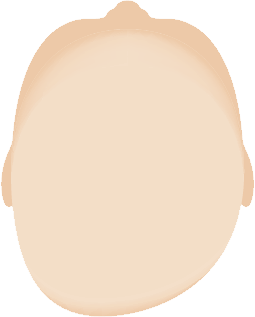 What are positional skull deformities ( Baby Flat-head syndrome)? Deformities in the baby’s head resulting from constant external pressure on the skull. Most of these deformities appear during the baby’s first year, especially in the first 4 months. 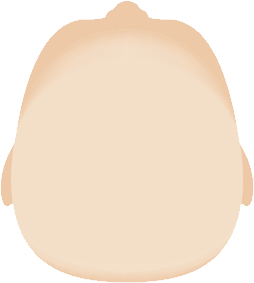 The positioning of the baby’s head is one of the main reasons for the appearance of these deformities. These deformities, both facial and cranial, can create visible aesthetic and self-esteem problems. 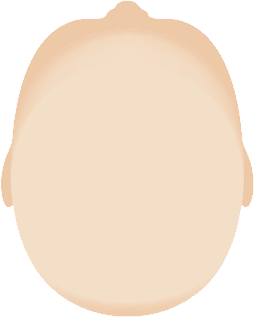 The flattening of part of the skull can affect other parts of the head and lead to further displacements or deformities in the ears and/or different areas of the face. The Mimos baby flat head pillow was designed especially to prevent and correct cranial deformities during baby’s first few months. 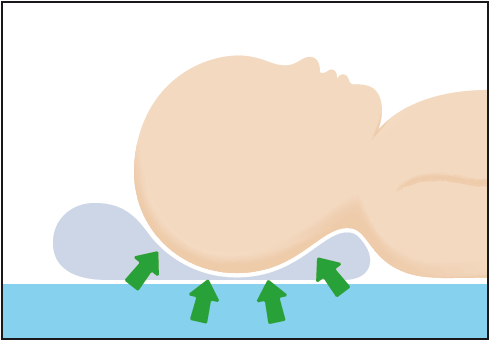 It is designed for baby to be positioned in the supine (face up) position. The pillow increases the area of contact beneath the head, reducing the pressure by up to 4 times. The Mimos pillow has been found to be extremely effective at preventing skull deformities. According to clinical studies, the Mimos pillow visibly improves the results of the correction of positional skull deformities. If used to prevent plagiocephaly, it is recommended for the first 6 months of life. For correction, see a specialist and use the pillow in addition to tummy time and the physiotherapy indicated in your specific case. Results may vary. Ideal for use in cots and prams. 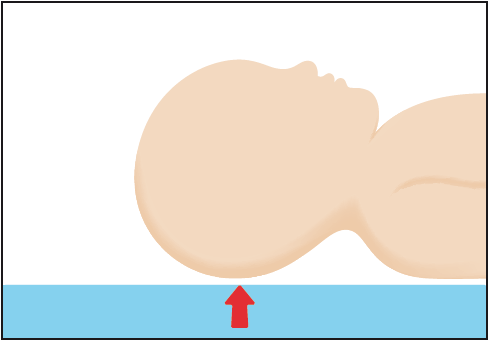 Position baby face up (supine) so that their head is within the pillow cavity. Never place baby’s face against the pillow. The Mimos pillow does not prevent SIDS (sudden infant death syndrome). Mimos has been proven to be highly effective in the prevention of and recovery from a skull deformity when used as a complementary measure, so it should be used in addition to the treatments prescribed by your paediatrician or neurosurgeon.